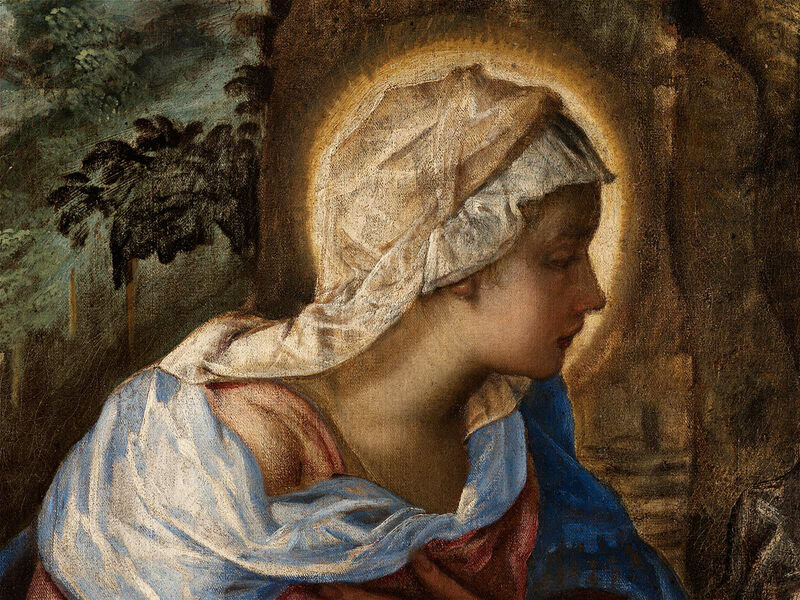 X-radiography has revealed that this painting of the Nativity is unusually complicated since Tintoretto incorporated the lower section of a painting he made about twenty years earlier. 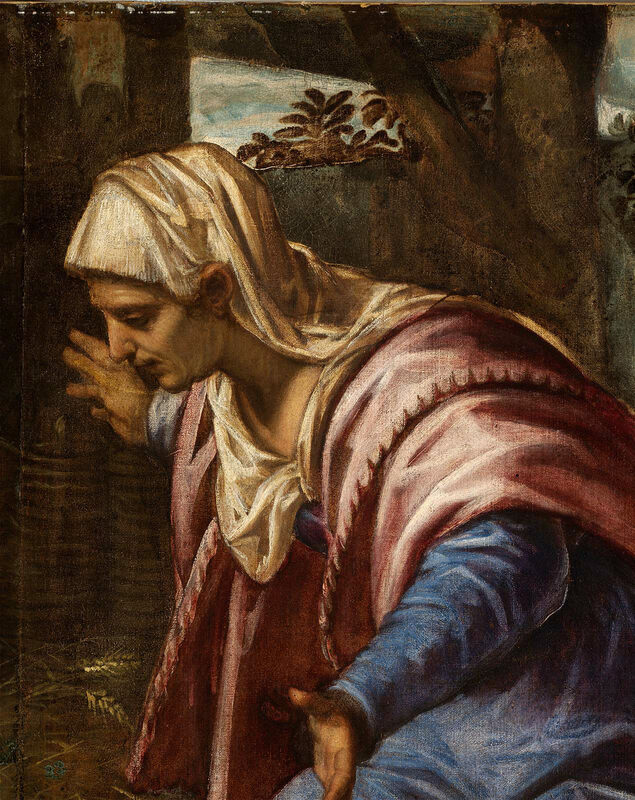 The two large female figures of the Virgin Mary and an older woman, perhaps Saint Anne, were recycled from a vertical painting of the Crucifixion. 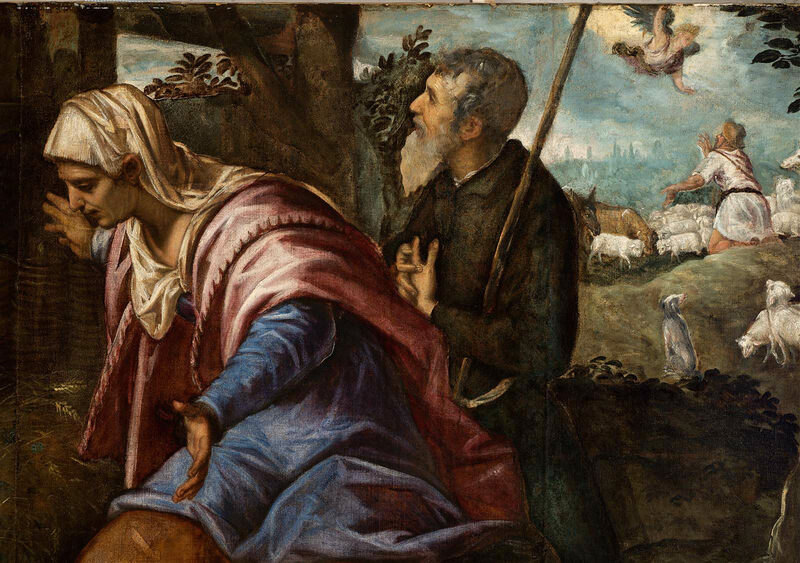 The sketchy background scenes, depicting the Journey of the Magi and the Annunciation to the Shepherds, were added by an assistant when the canvas was transformed into a horizontal format. The reason for this drastic surgery is not yet clear. A letter from Quincy Adams Shaw, Jr., to W. G. Constable of the MFA (December 24, 1946; in the MFA curatorial file) states that Shaw's father had purchased the painting in Italy, perhaps in 1874, and that it had hung over the altar of a church in a small town north of Florence, the name of which he could not recall. The painting was certainly in the Shaw collection by 1881, when it was mentioned in "Greta's Boston Letters," Art Amateur 5, no. 4 (September, 1881), p. 73. 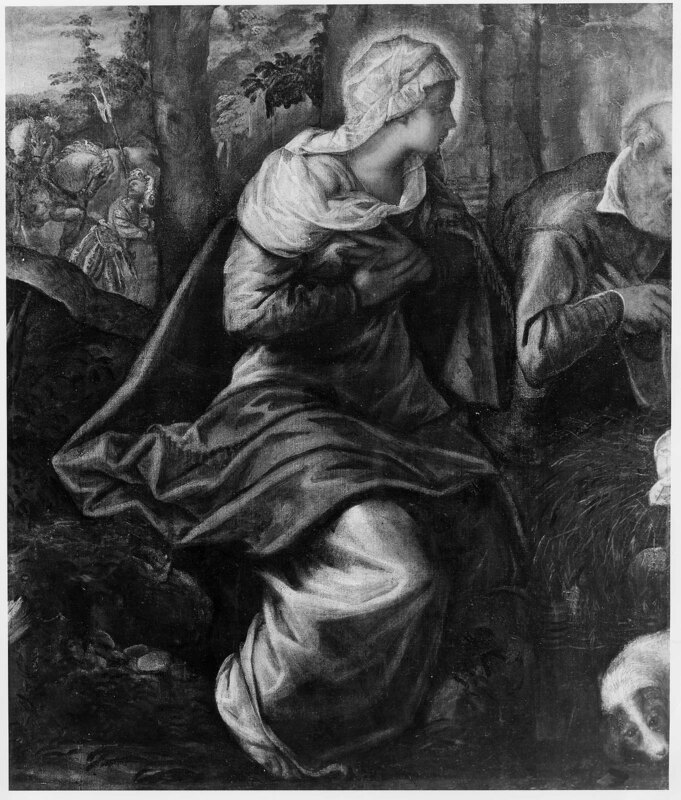 Edward Strahan, The Art Treasures of America, vol. 3 (Philadelphia, 1882), p. 87, wrote that it was "obtained at Venice." Gift of Quincy A. Shaw, Jr.